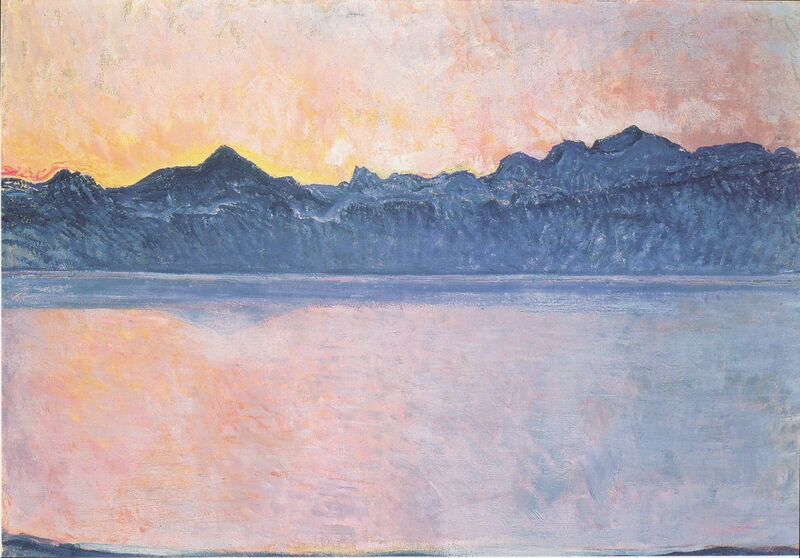 One century ago today, the Swiss artist Ferdinand Hodler, died in Geneva. He was Switzerland’s first great modern painter, who remained and worked in his home country but created art which reached far beyond its borders. Most other major Swiss painters have either not achieved much of an international reputation, or have spent a lot of their careers outside Switzerland. Examples of the latter include Jean-Etienne Liotard, Henry Fuseli (who even changed his name from Johann Heinrich Füssli), Charles Gleyre, Arnold Böcklin and Alberto Giacometti. 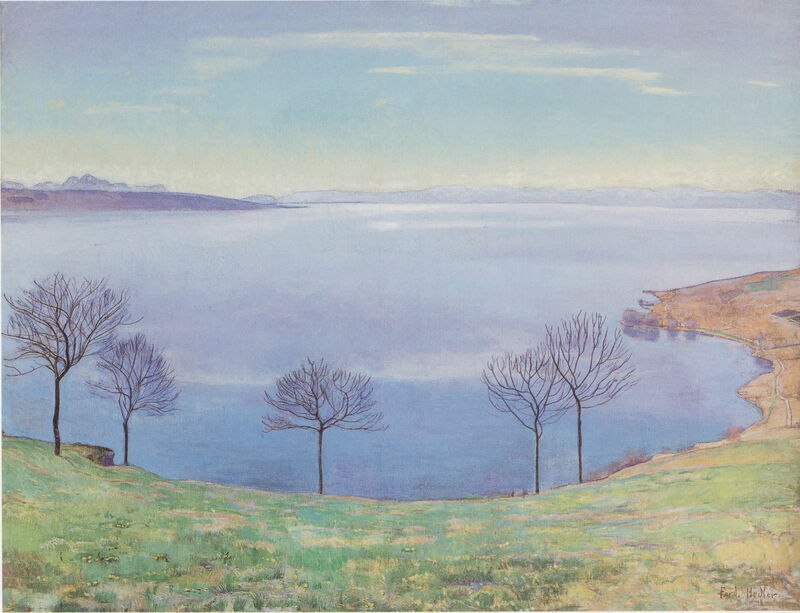 Hodler’s early paintings were landscapes after the strict realist style of Alexandre Calame, and sold to tourists. They show his technical skills – here at the age of only 18, before he had received much formal tuition. Ferdinand Hodler (1853–1918), The Night (1889-90), oil on canvas, 116.5 × 299 cm, Kunstmuseum Bern, Bern, Switzerland. Wikimedia Commons. Most famous now for his symbolist figurative paintings, he was also a prolific landscape artist who showed how that genre can break away from slavishly copying from nature. 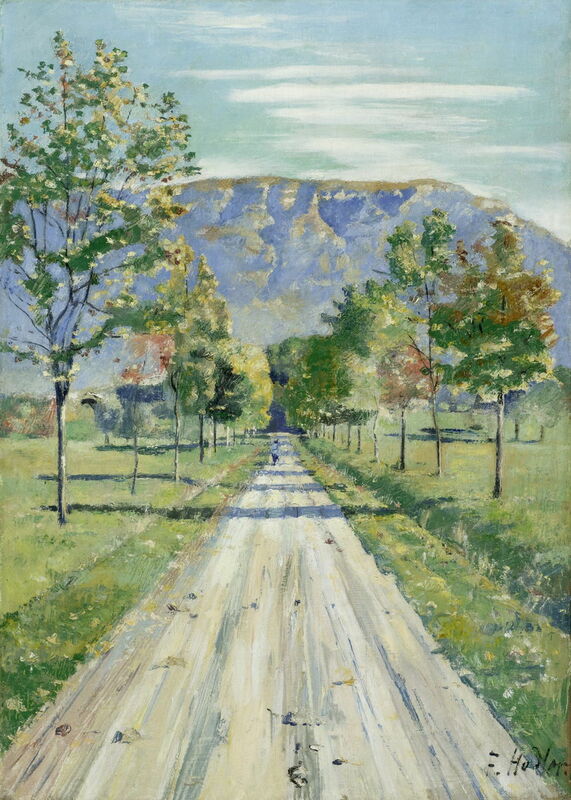 Ferdinand Hodler (1853–1918), The Road to Evordes (c 1890), oil on canvas, 62.5 × 44.5 cm, Kunstmuseum Winterthur, Winterthur, Switzerland. Wikimedia Commons. As his art matured, he developed a fascination for rhythm and symmetry in nature, and in human society. These became central and enduring themes in his mature and late figurative and landscape painting. Ferdinand Hodler (1853–1918), The World-Weary (1892), oil and mixed media on canvas, 150 × 294 cm, Neue Pinakothek, Munich, Germany. Wikimedia Commons. Some of his figurative works used multiple images of models arranged to provide rhythm, and carefully ordered so as to maintain symmetry. 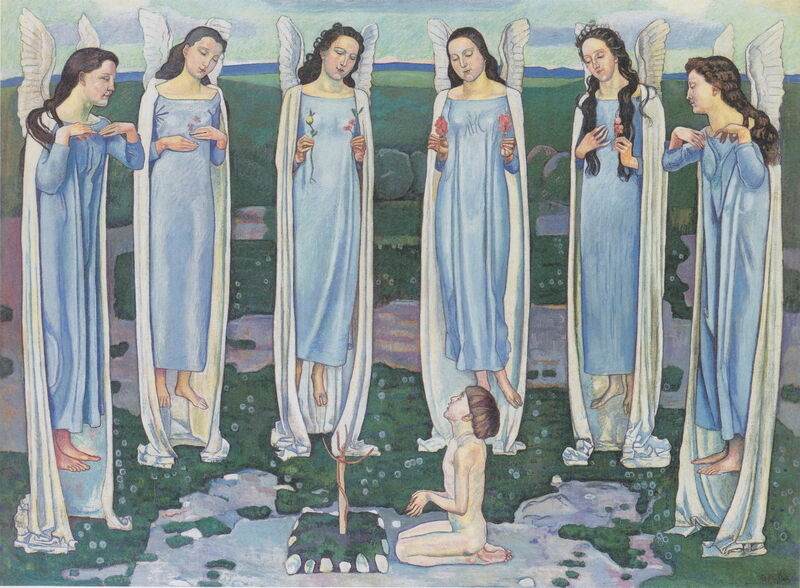 Hodler saw these as reflecting the inner harmonies and unity in humans and society, and termed this Parallelism. He had a particular fondness for views over Lake Geneva looking at the far shore and the distant mountains. 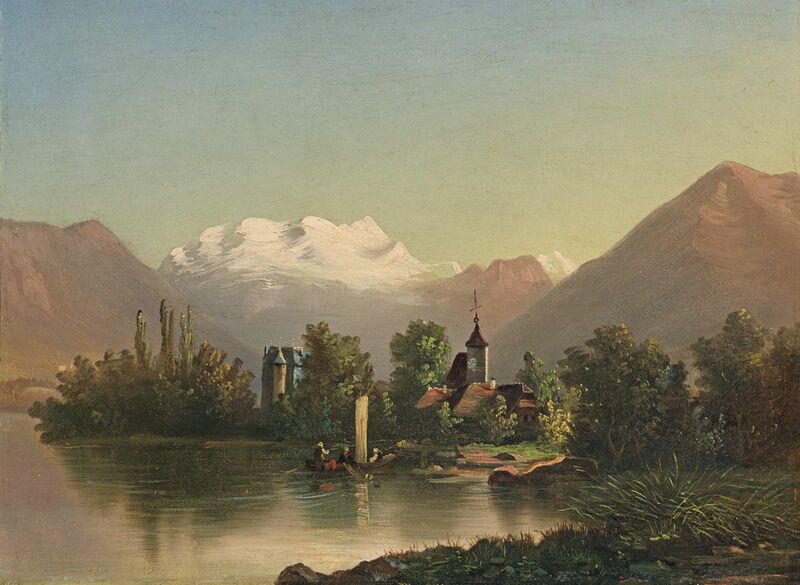 Although he painted a wide range of motifs in and around the Alps, it was Lake Geneva to which he kept returning. 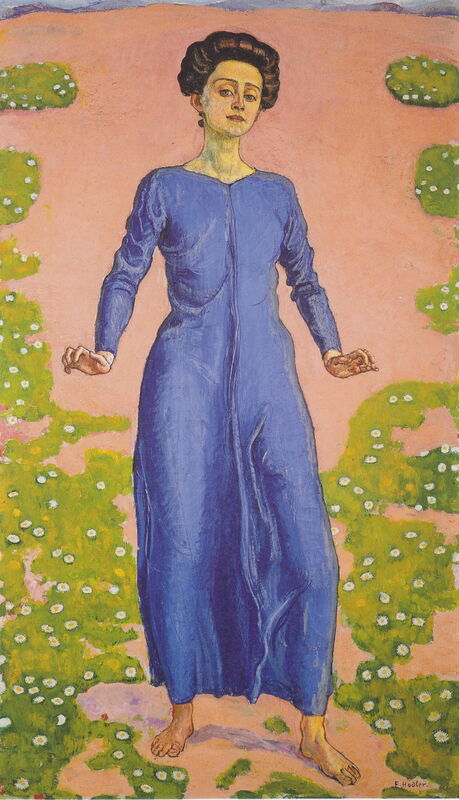 Hodler’s figures are shown in movement and postures which reflect a kinesthetics, most probably that of eurhythmics, which was being developed by Émile Jacques-Dalcroze at the Conservatoire in Geneva from 1892. This involves musical expression through movement, and is now known as Dalcroze Eurhythmics. Early in the twentieth century, rhythm and symmetry started to dominate many of his landscapes too. Later figurative work in easel paintings tended to show single figures or pairs, with variations based on one woman dressed in blue, as shown here, or a young girl and older boy from Spring. 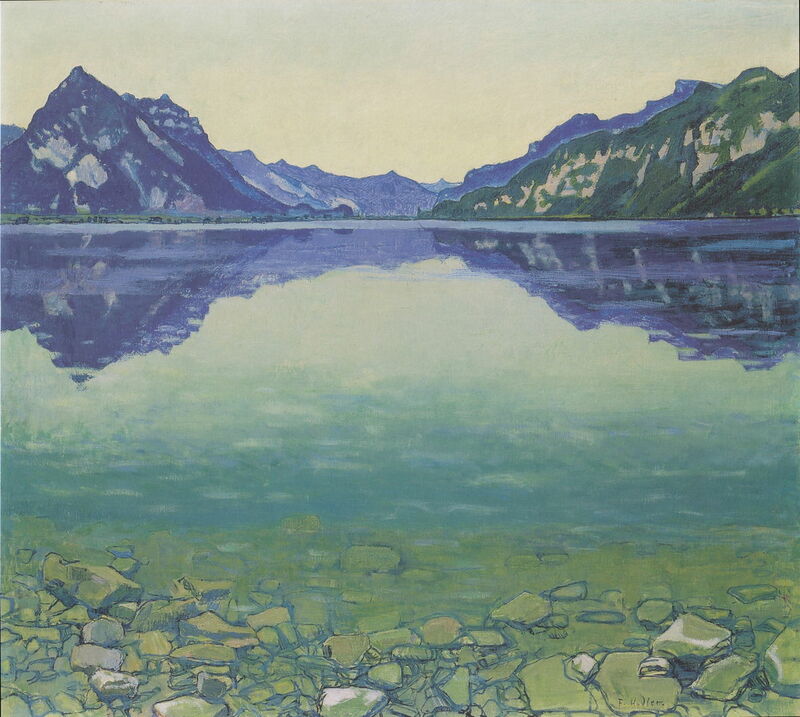 Hodler’s late landscapes moved away from rhythm and symmetry, and he started to simplify, discarding what he considered to be unnecessary detail. Hodler painted a succession of very large murals inside public buildings in Switzerland and Germany, including Unanimity, which he completed in 1913, in the New Town Hall in Hannover, Germany. These were particularly popular during his lifetime. After painting a harrowing series of works documenting the illness and death of his lover in early 1915, Hodler concentrated on landscapes. 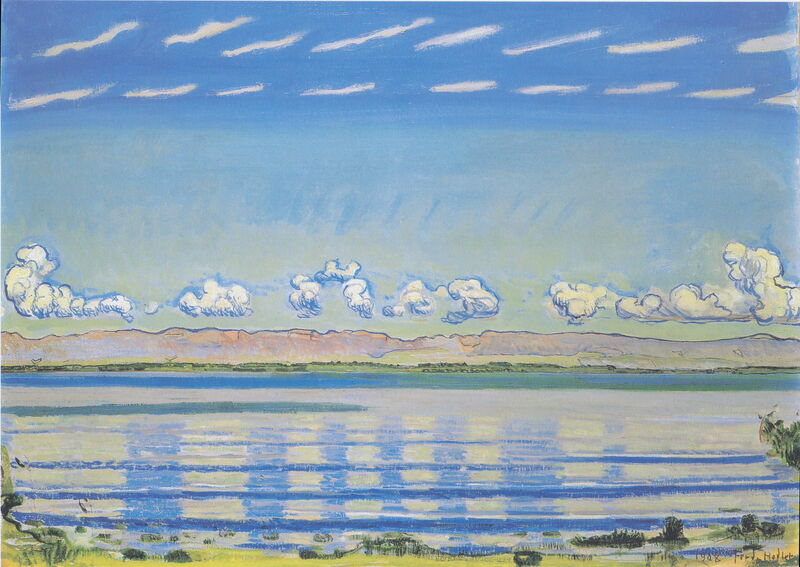 In his final few months he achieved sublime simplicity in a series of views over Lake Geneva. 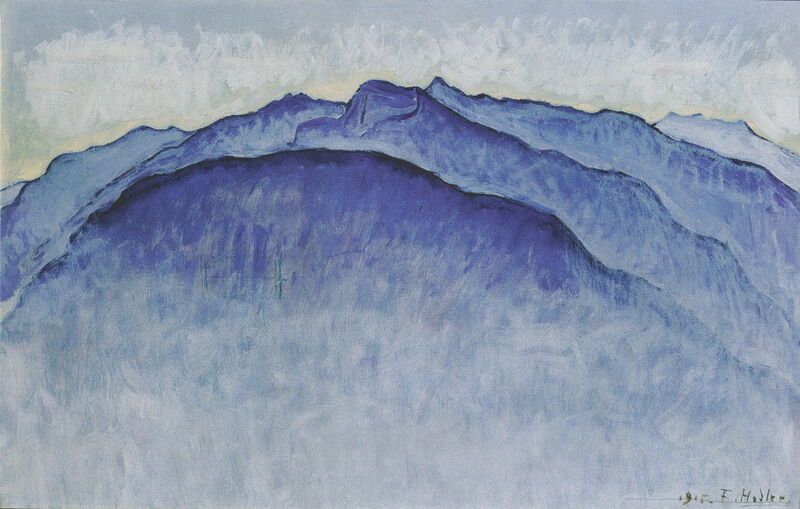 Inevitably, there are those who claim that Hodler’s late work was a forerunner of abstract painting. Throughout his career, though, he painted his representations of the figures and landscapes in front of him. 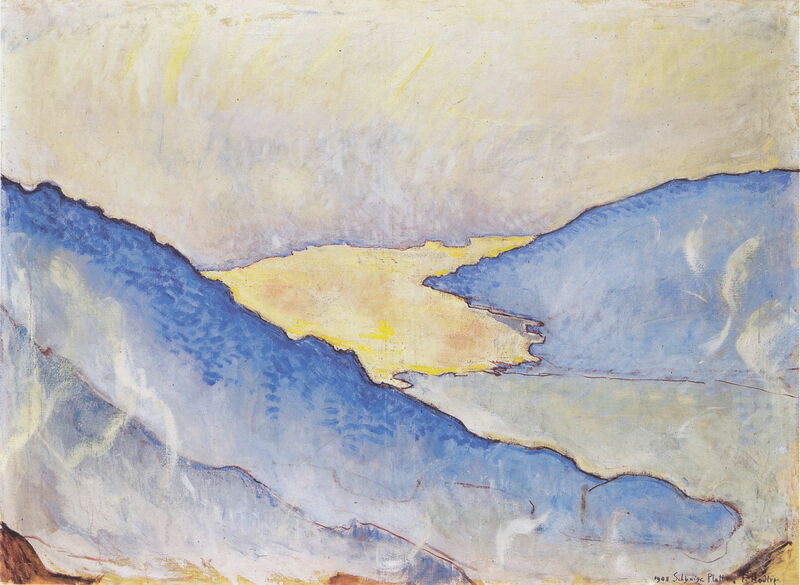 Far from being abstract, Hodler expressed what he saw as the deeper truth and the inner unity of the world around him. 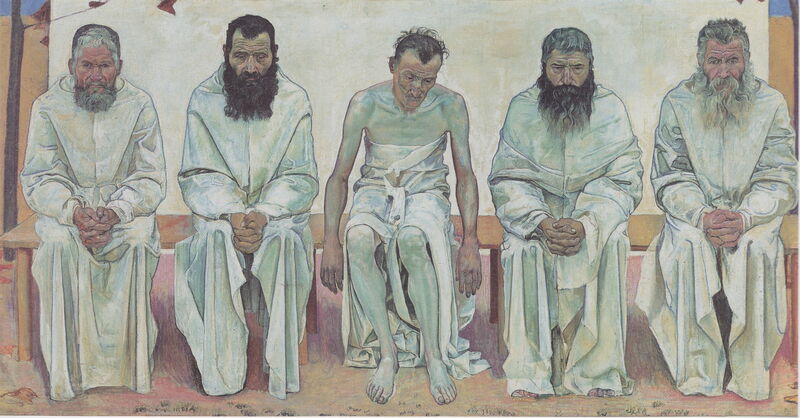 Hodler’s paintings are some of the most fascinating and enduring visual art created after Impressionism.